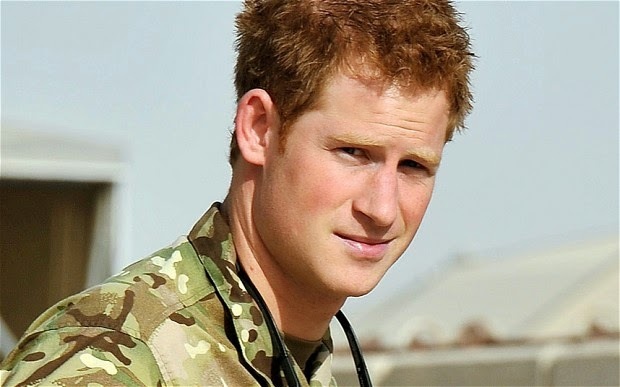 In terms of Romantic Suspense, Prince Harry is bursting with perfect heroic qualities. Firstly, he’s a prince for goodness sake—what are the chances of that happening? Secondly, despite the worrisome gene pool (we all have them), he’s good looking, fit, and frankly hot. Third, (do we need more?) he’s a soldier who’s served in combat on behalf of his country (that screams Romantic Suspense hero, right?). Fourth, the guy is obviously charming without being sickeningly smooth. Fifth, he works for charity and seems to genuinely care about those worse off than himself. Six—most importantly—he has flaws. OMG, thank you! No one wants to try and measure up to perfection. Trying to find the perfect woman for a Harry without flaws would be impossible (hoping he finds the right woman one day J). Turning Prince Harry into the perfect Romantic Suspense hero would be a piece of carrot cake (couldn’t resist). In fact, he’s possibly too good to be true. All he needs now is a case of amnesia as he stumbles across a woman-in-jeopardy (who may or may not be pregnant), and some flowing desert robes as they make their escape on a camel from the bad guys. Anyway, I hope you star-spangled peeps are having lots of safe fun. Happy Independence Day! There are more perfect heroes in a new limited edition Romantic Suspense box set I’m in. CRIMES OF PASSION features 6 bestselling novels by 6 bestselling authors and is on sale for only 99c. Toni Anderson is a former marine biologist, now NY Times & USA Today Bestselling Author of Romantic Suspense. Her novels have been nominated for the prestigious Romance Writers of America® RITA® Award, Daphne du Maurier Awards, and National Readers' Choice Awards in Romantic Suspense. Find out more about Toni’s books on her website www.toniandersonauthor.com, follow her on twitter @toniannanderson or friend her on Facebook (https://www.facebook.com/toniannanderson).